The new 8-series isn’t bigger than the 6-series, but there are ample reasons for the higher number. There’s something about this little bit of alphanumeric chicanery BMW is pulling here that’s a tad offensively simplistic. The new 8-series is not bigger than the 7-series. It is, in fact, 16.1 inches shorter overall. It’s even 1.8 inches shorter than was the 6-series two-door that it replaces. It is, however, the same width as that last generation of BMW’s big coupe, and its roof is actually slightly higher. 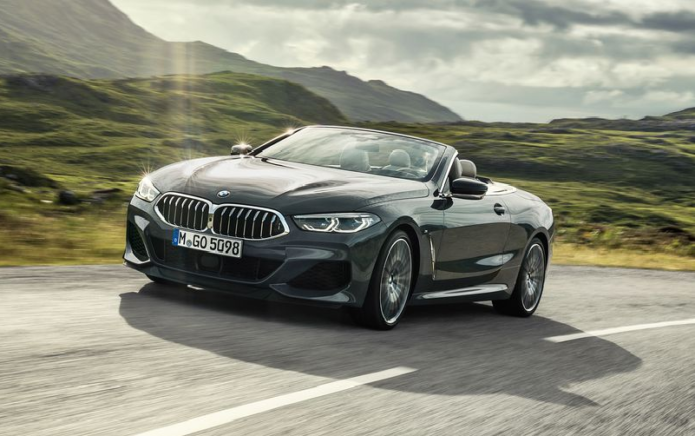 Despite a smarter mix of high-strength steel, aluminum, and even a small amount of structural carbon fiber around the center tunnel, the curb weight for the M850i xDrive convertible we drove here, BMW claims, is actually a touch heavier than the equivalent 6-series.